It's no accident that neighborhood schools are battlegrounds for so many of the pitched battles over race and place in America. Walter H. Dyett High School principal Charles Campbell tours the school in Chicago in 2012. The bipartisan education reform movement sweeping the nation calls for rating schools by their students' test scores and then taking drastic steps to overhaul the worst performers by firing the teachers, turning the schools over to private management or shutting them down altogether. But memory was the only place that Durham — my Durham — still existed. The school had closed its doors in the late 1990s because of the city's crushing budget problems, and was later swept up in a wave of charter-ization that took over Philly after I graduated. The old Durham building now housed something called the Independence Charter School. My middle school, George C. Thomas in deeper South Philly, has undergone a similar conversion. They were part of a larger trend: In the past three years alone, Philadelphia has shuttered over 30 of its public schools. And because of the makeup of Philly's public school system, most of the students affected by all this upheaval have been less-resourced children of color. So what happens to these places? Some became charters like Durham and Thomas; others were abandoned altogether. And then there are cases like Edward W. Bok High School in South Philly, a once well-known vocational-technical school that closed two years ago, found new life as the digs of a trendy hipster bar, and has become an inevitable flashpoint in the fight between the neighborhood's gentrifiers and the folks with older roots. 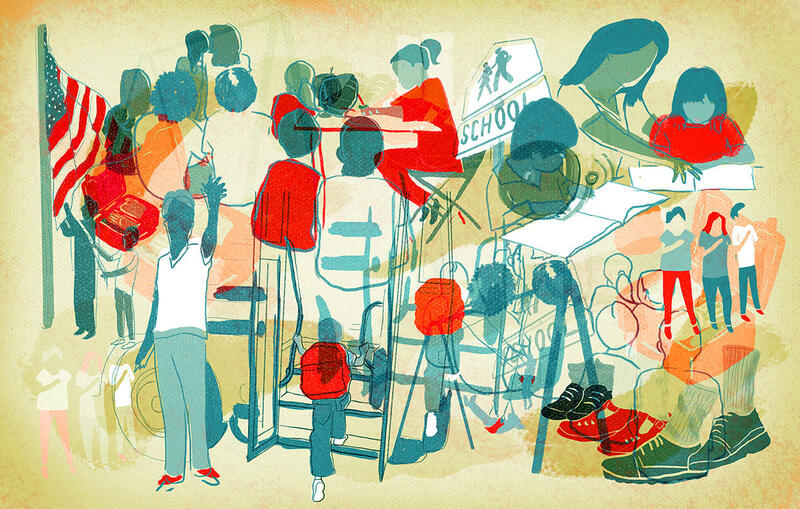 It's no accident that local schools are battlegrounds for so many of our most heated, pitched battles over race and place in America; schools are the reasons many of our cities and suburbs (and the neighborhoods therein) have the borders they do. There are big structural and pedagogical questions embedded in how we decide to educate (or not educate), how we prioritize and allocate our public resources. Who gets to go to the best of them? Where are they located? Do we have to share? But as I realized when I visited the ghost of Durham, local schools also fulfill a smaller, human-scale function: They orient us to our own histories, anchors of continuity in the places where we were from. Schools are where young people first learn how to interact with their communities in official and personal capacities, and offer a touchstone to reconnect with way down the line. Our schools are signposts in the stories we tell ourselves about ourselves and our communities. When I was reporting from Ferguson last summer, folks I talked to from all over St. Louis told me that the customary greeting asked of strangers upon the first meeting is, "What high school did you go to?" The answer, they said, carries with it all sorts of local meaning about just who you were and who you knew. 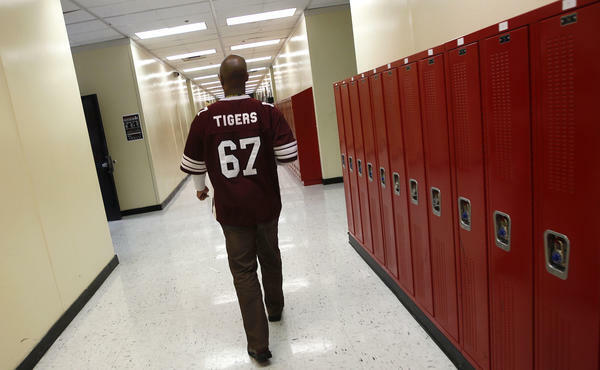 All this messiness over communal identity is what's at stake in the intense, ongoing fight over Walter H. Dyett High School, in the historic Bronzeville neighborhood on Chicago's South Side. In the first half of the 20th century, Bronzeville was one of the great Northern berths for black folks who left the South during the Great Migration. Dyett bears the name of a popular music teacher who taught local kids who came up during that time, including Nat King Cole and Dinah Washington. A few years ago, Chicago announced it would shut the school down in 2015, and Dyett has been on a slow death march ever since. Teachers quit. Students transferred out. No new students were allowed to enroll. And for the past few weeks, dozens of folks from the neighborhood surrounding Dyett High have staged a hunger strike in the hopes of forcing the city to keep its doors open. "Why can't we have public schools?" one of the protesters said. "Why do low-income minority students need to have their schools run by private contractors? We want this school to anchor the community for the next 75 years." Notably, Dyett High is a "neighborhood school" — also called an "open enrollment school" — which means any child from the local community can attend; it's the last of its kind in the surrounding neighborhood. That's different from magnet schools, which tend to have admissions requirements like test scores and even auditions, or charter schools, where students often gain admission via lottery. As charters and magnet schools have swept across places like Philly and Chicago — and taken many of the most-resourced and involved parents with them — neighborhood schools like Dyett High have become increasingly unfashionable. For parents and students, the most desirable educational options become increasingly far away and more difficult to get into. If going on a hunger strike for a struggling local school seems extreme, consider the lengths people with deeper pockets will go to for their beloved public schools. My Code Switch partner Kat Chow reported last week on how proud alumni and parents in Allen, Texas, outside Dallas, celebrated the reopening of the town's shiny $60 million football stadium for the local high school. "We're proud," one parent said. "We'll spend the money, and we'll do [anything], to make this town proud of our kids. We'll do anything we can for our kids." Eve Ewing, a sociologist who studies education at Harvard, wrote a moving essay at Seven Scribes about the fight over the future of Dyett High in Chicago. By Ewing's count, more than a dozen elementary schools in the neighborhood had been shuttered since 1998 — including one where she'd herself been a teacher. "When I found out that the school where I taught would be closing, I was visiting my father in Florida for spring break, and I locked myself in the bedroom and cried like a little kid. I started replaying life there in my head, over and over, like a sappy montage in a bad movie. Here's me walking down the hallway for the first time, on my way to meet the principal for a job interview. Here's Nathan, staying in my classroom after hours to write and illustrate a story about the Great Depression. Here's Patricia standing proudly in front of the whole school and perfectly reciting her lines as Lady Capulet, despite her hearing impairment and speech impediment. Here's the staff meeting where we find out that Nashae has cancer, and strategize about how we're going to coordinate hospital visits, frozen dinners, and rides home for her sister. Here's Omari connecting a circuit for the first time, and Sierra lovingly feeding Peanut, the gecko that was our class pet. Here is our school." Jelani Cobb wrestled with many of these same ideas in an essay at the New Yorker about the recent closing of his own big public high school in Queens, N.Y. That school, Jamaica High, was once the largest in the country, reflective of the community's diversity and one of the city's best-performing institutions. But as thinking about public education shifted to embrace smaller, more specialized schools, the exodus of top students from Jamaica High meant its student body quickly became much poorer and less diverse. In the course of just two decades, it went from one of the jewels of the New York public school system to a gargantuan, shabby stand-in for all of the supposed ills inherent in the neighborhood schools system. Cobb writes that this particular genre of civic demise is deeply enmeshed in the particular racial histories of our big cities. Public schools were central to the flight of whites out of those cities in the middle of the last century. Today, the anxiety over what to do with many of those same public schools, left under-resourced even as they were tasked with solving all sorts of broader societal problems that attend concentrated poverty, has become a pressing challenge for cities as children of the suburbs head back into urban centers. Different cities have taken various approaches over the past decade — more magnet schools, more charter schools, and breaking up big schools into several smaller schools that all use the same building. But as Cobb points out, when public education is the avenue we decide to use to address broader inequities in American life, it tends to end badly for the schools charged with all that heavy lifting. "Both busing and school closure recognize the educational obstacles that concentrated poverty creates," he writes. "But busing recognized a combination of unjust history and policy as complicit in educational failure. In the ideology of school closure, though, the lines of responsibility — of blame, really — run inward. It's not society that has failed, in this perspective. It's the schools." Accepting this narrative, shaky as it may be, leads to one logical outcome: Tear down the schools that no one wants, in neighborhoods no one cares about. But that also means wiping out something central to our personal stories of growing up and coming of age and being from a place. 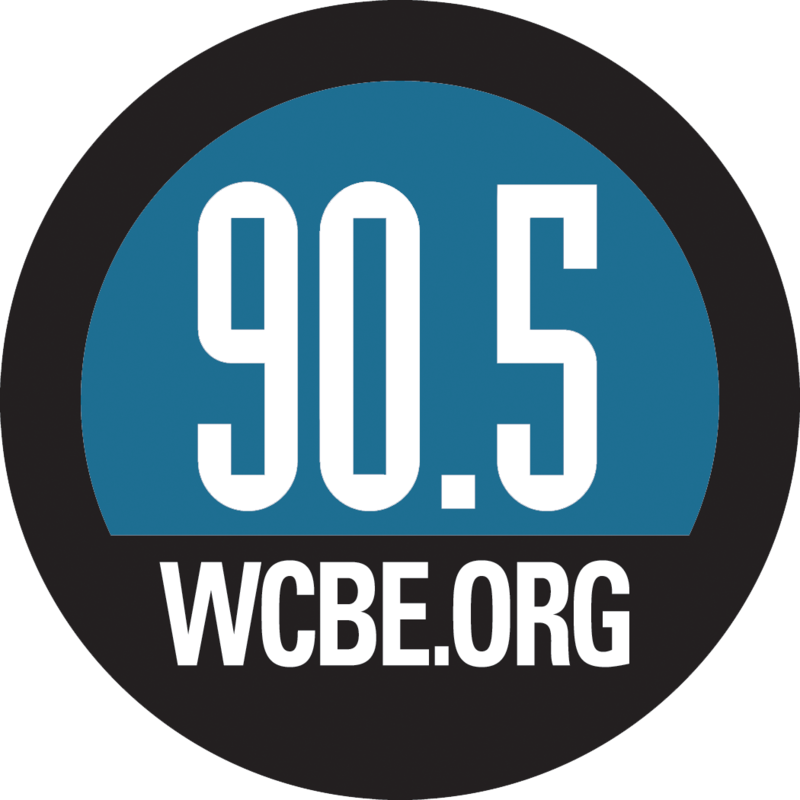 Eve Ewing, the Harvard sociologist, told me the story of one man she spoke to in Bronzeville who realized that every school he attended growing up — elementary school, middle school, high school — was no longer around. There were only 13 kids in the final class of Dyett High that graduated last June, and Ewing said those last students doggedly refused to leave. Some local folks donated instruments so that they could put together a school band; some other folks helped the Dyett kids cobble together a senior prom. They were trying to give Dyett's last senior class some semblance of the familiar American high school experience. "I talked to one of the them," Ewing said, "and he told me, 'I know this is embarrassing to say, but I never got to be the cool senior. I'll never get that back.' "
No more or less embarrassing than spending $60 million on a high school football stadium, to those who decide they want to do it. Or than refusing to eat in a last-ditch attempt to save your neighborhood school from going away. This is the way people feel about their schools and the promises embedded in them. "These are the psychic archives we carry with us," Ewing said. It was a peculiar sense of loss that I felt the day I visited Durham — one of unmooring. It's a feeling with which a growing number of people who grew up in America's big cities can relate. The local fights over what to do with struggling schools usually center on things that can be measured, like test scores and graduation rates. But those debates tend to miss another big part of what makes schools so vital to their communities in the first place, and why we keep investing so much in them — emotionally, and, if we can, financially — long after we've moved on.